Areva Martin: I am very, very, very, very, very, very, very, very excited about SB 946. And I am so excited about it because, while it doesn’t answer all of the issues, and it doesn’t provide for everything that families need, it is a huge step forward in terms of helping families who are dealing with getting services. 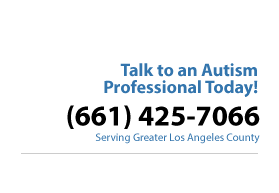 I am a parent of an autistic child so I’ve had autism providers in my home since my son was two. I know the struggle of parents trying to find access to providers. I know the struggle as a lawyer that represents families who are also seeking services through regional centers, and school districts, and as a policy maker, I have been involved in this. But the good news is, as Keith said, there aren’t any age or coverage limitations. Some states which enacted autism mandates, (there are 29 states which have done so), put limits on the age of individuals that would be covered by the particular insurance. Some states have caps on the amount that can be spent on autism therapies. California opted not to do any of that (e.g. put limits or financial caps). SB 946 covers behavioral health treatment which includes applied behavior analysis (ABA). ABA is obviously one of the treatments that this bill was intended to cover, and other types of behavior intervention which is evidence based. So you don’t have to prove anything. What’s envisioned by the law is that you will go to a provider, and that provider will make an assessment and a diagnosis. If your diagnosis is autism, then a qualified autism provider, which the law defines, can give you treatment. You’ll require a prescription for behavioral health treatment. Keith Massel: You have to have a diagnosis of something on the autism spectrum. The person who gives the diagnosis will write a prescription for behavioral health treatment. It doesn’t have to be ABA, but ABA is the most effective treatment for autism. Areva Martin: Adults with autism will be able to seek coverage for behavioral health treatment through their private health insurance companies. And the task force is looking at making recommendations, and guidelines for how autism insurance coverage will be administered. SB 946 is going to sunset in July of 2014. So after July 2014 we won’t have SB 946 as we have it today. Then what happens? The expectation is that we’ll continue to have coverage beyond the law; therefore, we’re (Task Force) looking at making recommendations about how coverage should be provided after 2014, which is what this Task Force is commissioned to do.